Home News Press Release: New Zealand Shows Added! Press Release: New Zealand Shows Added! 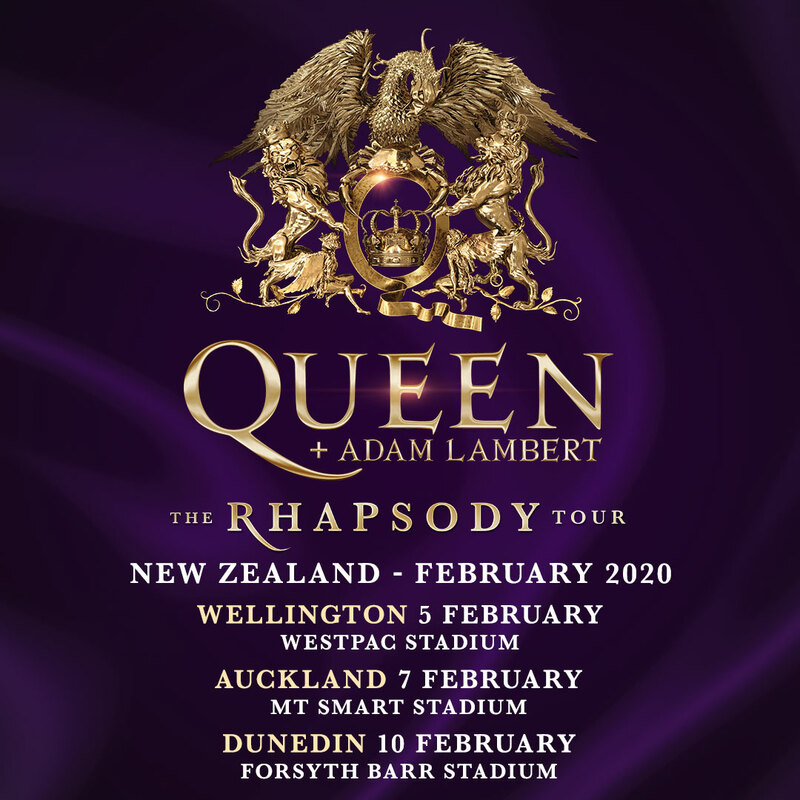 Announcing their Rhapsody Tour of New Zealand Brian May said “This is a great opportunity. Our last tour featured our most ambitious production ever and got us our best notices ever. So we decided to rip it apart and get even more ambitious! Watch out, New Zealand! " ‘Bohemian Rhapsody’ is officially the world’s most-streamed song from the 20th Century, and in NZ, the band scored its highest-charting album in 24 years with the Platinum-selling Bohemian Rhapsody soundtrack. 8th April 2019 Press Release: New Zealand Shows Added!